Your baby should receive his or her first dental health checkup by the age of six months. Even though your infant may not have teeth yet, Drs. Louis P. Cerillo and Kali George can assess the risk your baby might face for oral diseases that affect hard or soft tissues. Drs. Louis P. Cerillo and Kali George can also provide you with instructions for infant oral hygiene, and explain what steps to add as your baby grows and develops. General and Implant Dentistry is your partner for good oral health, and we’re here to make caring for your baby’s dental hygiene and health easier and more enjoyable for you. More serious periodontal diseases, while relatively uncommon, can affect children and teens as well as adults. Aggressive periodontitis, for example, results in connective and bone tissue loss around the affected teeth, leading to loose teeth and even tooth loss. Let Drs. Louis P. Cerillo and Kali George know if you have a family history of gum disease, as that might be a factor in your child’s dental health, and tell us if you have noticed any symptoms of gum disease. The best treatment for childhood gum disease is prevention. Careful brushing and flossing and regular visits to our Tampa or San Antonio, FL office for a professional cleaning will stop gingivitis from developing and from becoming a more serious form of gum disease. We will take care to look for any signs of gum problems, and have suggestions for you if your child is at greater risk for periodontitis. Together, we can encourage gentle and proactive gum care, and check off one more goal accomplished on your child’s path to lifelong dental health! With children undergoing developmental dental changes and engaging in rough-and-tumble activities, dental emergencies can sometimes arise. 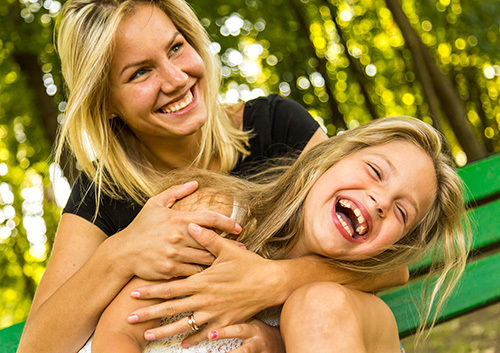 If your child knocks out a tooth or experiences any type of oral discomfort, call General and Implant Dentistry right away so we can provide you with a quick assessment and pain-free treatment. 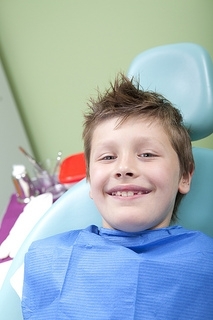 Regardless of the type of dental issue your child has, you can always consult Drs. Louis P. Cerillo and Kali George for further guidance. We make sure our emergency services are available 24 hours a day and seven days a week, so you have ready access to convenient and professional dental care that will have your child feeling better in no time. Sometimes people feel a tiny bit nervous when they sit in the dental chair. And sometimes it’s more than a tiny bit. If your anxiety over visiting the office leads you to skip regular checkups and cleanings, or, worse, if you would rather suffer tooth or gum pain than give us a call—give our Tampa or San Antonio, FL office a call! Sedation dentistry might be just the procedure you need to make dental anxiety a thing of the past. Drs. Louis P. Cerillo and Kali George and our team are trained to administer sedation and to monitor your responses throughout. And we want you to have all the information you need to decide on any dental treatment, including sedation. We will tell you of any risks, and describe the procedure in detail. If you have any health conditions or take any medications that might interfere with sedation, we can discuss your options with you and your doctor to make sure you are a good candidate. We will explain any preparations you should take, and let you know if there is a window of recovery time needed in our office while the sedation wears off.